The 6th Hole. Photo by Kevin Murray. Occupying the extreme westerly tip of the British Isles, with mood and scenery unlike that found in any other part of England, Cornwall is more Celtic than Anglo-Saxon and, as any Cornishman will quickly tell you, is the region of Britain with the likeliest claim to King Arthur and his Knights of the Round Table. Even the route here from London, traversing some 250 miles in a southwesterly direction, is steeped in ancient history. Among the sites are 5,000-year-old Stonehenge and the beautiful city of Bath, with its fascinating display of Roman and Georgian architecture. Cornwall’s extensive coastline comprises an intriguing mix of craggy, windswept cliffs, pristine beaches, secluded coves and quaint but bustling harbors. One of the most colorful ports is Padstow, situated on the north coast of Cornwall beside the wide mouth of the River Camel. There, you will find Rick Stein’s Seafood Restaurant, one of England’s finest gastronomic treats. The instant you step outside the restaurant and walk toward the edge of the quay, your eye will be drawn across the Camel Estuary toward the village of Rock and its impressive range of sand hills, within which lies a quite extraordinary golf links. St. Enodoc Golf Club was founded in 1891. 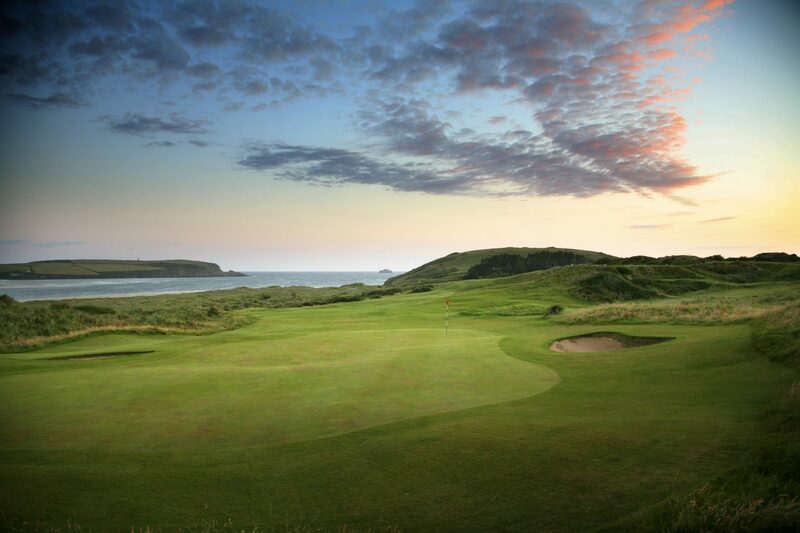 If Prestwick, North Berwick and Cruden Bay are among your favorite Scottish layouts, you will be enchanted by St. Enodoc, which is epitomized by humpy, hillocky fairways that twist and tumble through spectacular dunes. It has pot bunkers aplenty plus one truly gargantuan fairway cross bunker. There are tiny greens that sit on elusive plateaus, meandering streams and, à la North Berwick, ancient stone walls come into play. There’s even a nearly thousand-year-old church within the confines of the course. 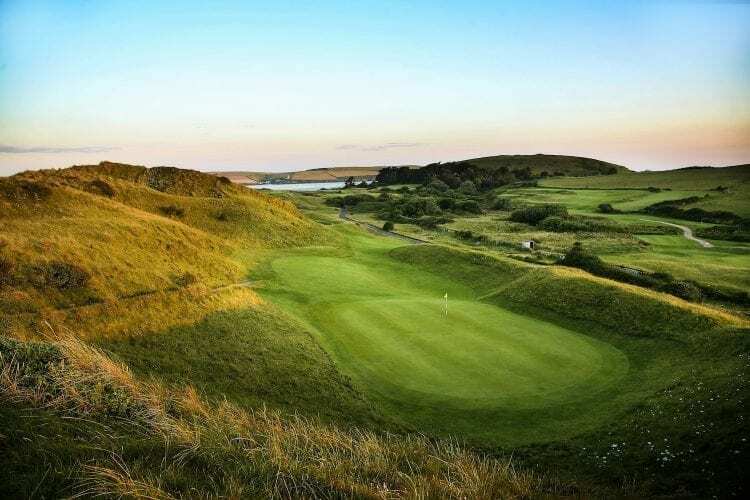 Five-time British Open champion James Braid is the architect of record, but St. Enodoc is fundamentally a natural links—the terrain and setting are exceptionally dramatic and the golf course simply blends into and makes the most of its environment. A relaxed, Saturday-afternoon type of atmosphere greets visitors to St. Enodoc. 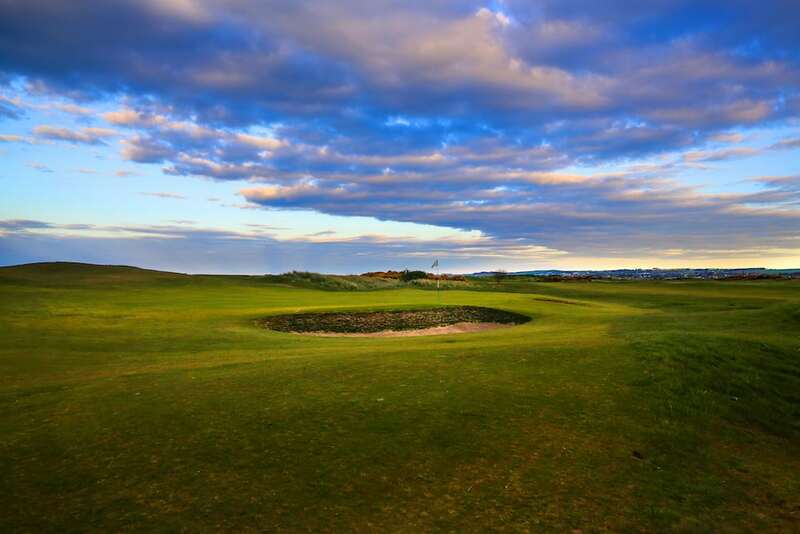 Since 1982 the club’s golf complement has been 36 holes, with the aptly named Church course joined by the altogether more benign 4,165-yard, par-62 Holywell course. Both 18s are very popular, and in the summer months prior arrangement is strongly recommended for those seeking to play the Church. The hole everyone remembers on the front nine is the 6th, “Himalayas.” This is where you must hit over what Bernard Darwin described as “the highest sand hill, to the best of my belief, I have ever seen on a golf course.” The Himalayas is every bit as wide as the “Sahara” or “Cardinal” bunkers at Prestwick, and at least as tall and deep as its namesake hazard to the right of the 4th fairway at Royal St. George’s. 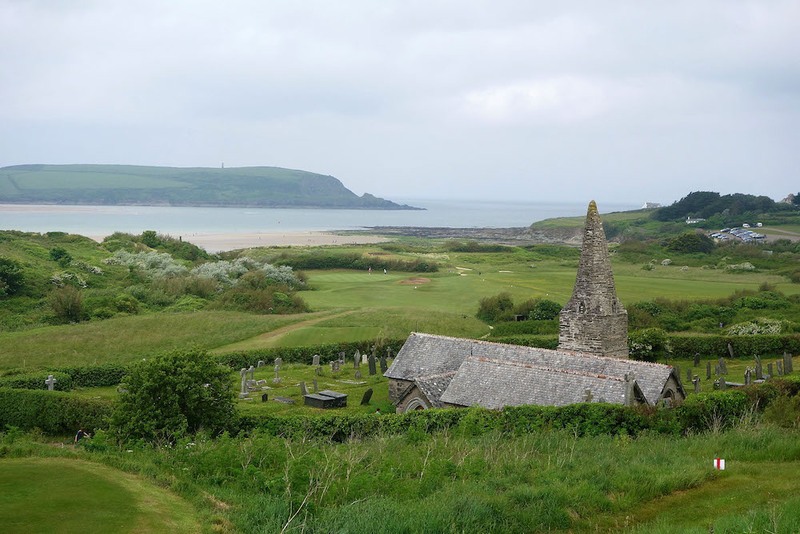 St. Enodoc’s ancient, half-sunken church stands just to the right of the 10th green. Dating from Norman times, it is one of the smallest churches in the country, and for many years only the top of its roof and spire were visible when the building became covered by sand blown in from the nearby beach. The British poet Sir John Betjeman so loved St. Enodoc he bought a house beside the course (and now rests in a grave adjacent to the church). He celebrated a presumably rare birdie on the par-4 13th hole by recording the event in verse: It lay content Two paces from the pin; A steady putt and then it went Oh, most securely in. The very turf rejoiced to see The quite unprecedented three. The par-5 16th offers the last realistic prospect of a Betjeman-esque birdie, for the par-3 17th is an exacting 206 yards to a splendid green, and the final hole is a glorious 446-yard two-shotter that features a superbly elevated tee, a crumpled, rippling fairway and a stoutly defended plateau putting surface. It is an heroic finish to a legendary course.